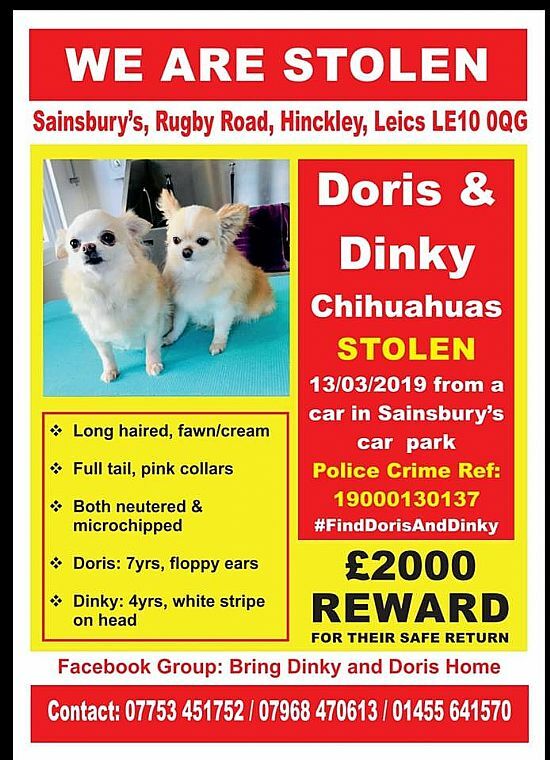 Can everyone keep a look out for any info on these missing dogs - the owner who lives in Sutton Cheney really wants her little girls back :( PLEASE SHARE! 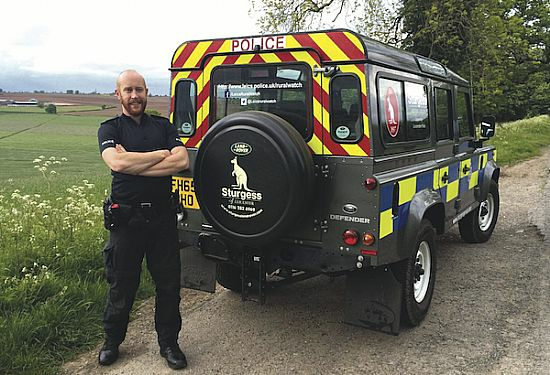 The Leicestershire Police newsletter has been published for April 2019. 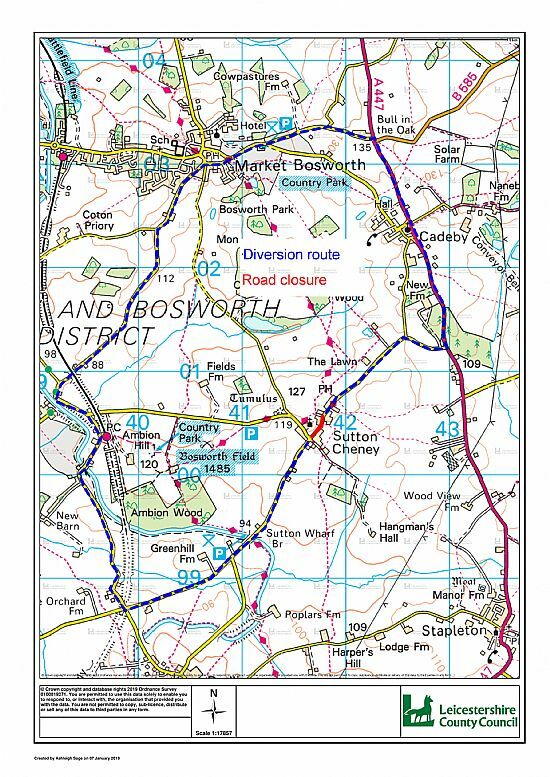 To view, please use our side navigation panel and hover over "Local Information"
A Neighbourhood Plan for Sutton Cheney Parish? Are you happy living in Shenton, Sutton Cheney or Dadlington? How do you want your villages to develop over the next 10 years? What improvements would you like to see and which areas would you like to protect? Did you know that YOU could influence these planning decisions? A Neighbourhood Plan provides everyone with the opportunity to do just this. It is led by the Parish Council but driven by local people representing areas across the Parish. Sutton Cheney Parish Council are considering a Neighbourhood Plan but need to gauge whether we have enough support from the local community. The Localism Act introduced new rights and powers to allow local communities to plan new development in their area and therefore help to decide the future of the places where they live and work. Neighbourhood planning empowers communities to shape the development and growth of a local area through the production of a Neighbourhood Development Plan. Who is involved in it? Who can produce a Neighbourhood Development Plan (NDP)? The Parish/Town Council is considered as the qualifying body and will be responsible for creating the NDP. Once designated, a steering group is normally formed to provide the platform to create a NDP and anyone with a connection to the area may join the steering group. Why get involved? Why Bother? In the past the relationship between planning and local communities has been reactive. People have made comments about planning documents, policies, applications, etc. whereas with neighbourhood planning the relationship between planning and local communities has become more proactive. The community now gets to decide policies that will in the future be used to judge future planning applications. How does it work? What is the process? 1. Define the neighbourhood. The parish or town council steering group formally submit a neighbourhood area application to local authority. The local authority publicises the application for a minimum of six weeks. Once approved the preparation of the plan can begin. The steering group will engage with the community, notify statutory consultees and build an evidence base to justify the eventual policies and proposals. There are numerous consultation tools available to the steering group. This stage must include a six week consultation period to publicise the proposals and consider responses. Once the plan has been completed the plan must be submitted to the local authority. The local authority will publicise the completed plan for six weeks. An independent examiner will be selected and he or she will be then examine the plan to make sure it conforms with all relevant rules and regulations, and consider any representation if he or she wishes. The examiner will recommend one of three options: that the Plan proceeds to a referendum, proceeds to referendum with amendments, or that it should not proceed. If the plan passes the examination, then it will go to a referendum. The referendum ensures that the community has a final say on whether a neighbourhood development will come into force. The Council will organise the referendum. The majority (more than half) of people voting must vote yes to the plan for it to be adopted by the council. The people living in the area who are also registered to vote in local elections will be eligible to vote in the referendum. If the NDP will have significant implications on residents from neighbouring areas, the independent judicator may request that they also are given an opportunity to vote in the referendum. In areas where a business NDP is being created, the local businesses will also have a vote in the referendum. If the majority of voters vote yes, the local authority will then bring the plan into force. The plan will then form part of the decision making process. Decision makers will be legally obliged to take into account the NDP when considering proposals for development in the neighbourhood area. Traffic Regulation Order at the above location. Lane heading west for approximately 2.8 km. 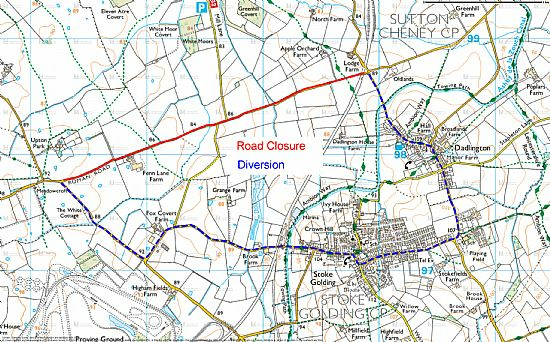 The road will be restricted on the 21st March 2019 for one day. There was a very positive response to the survey throughout the Parish, with a response rate of 35%. There was an overwhelming expression of opinion that the major issues in the Parish are the need to upgrade the streetlights; the need to act on traffic calming measures and the wish to enhance the area in which we live. These three issues have all been the cause of concern and discussion items on agendas for the Parish Council over a period of time, so it was gratifying that the residents underlined them. As we all know, these improvements come at a cost. 69% of the respondents answered that they acknowledged the need to raise the precept to pay for them. This equates to a striking 23% of the parish population as a whole. Normally a response rate of around 10% is expected and accepted. After considerable consultation with Leicestershire County Council, the PC resolved to work in partnership with them to not only physically upgrade the lights to more cost-effective LED’s, but to also undertake a long term maintenance contract with them to include a quicker response rate if the lights fail, and to a more cheaper energy tariff that carries significant cost savings. To assist with traffic calming measures, the PC has also resolved to purchase 3 new speed cameras. Each will collect data that will be used as an evidence base to highlight the need for further speed watch facilities in the future. Again, we are in discussion with Leicestershire County Council as to the siting of the cameras. As the national speed limit exists in Shenton, the PC resolved to purchase an advisory camera which will display “Slow Down” to any careless motorists. The camera can be set to flash at whatever speed we select, again to be decided with LCC, and it is hoped that the data will be used to enforce a more realistic speed limit in the village. So, how are these projects to be funded? The Precept is the primary source of income for the Parish Council. This is the portion of your Council Tax that is paid directly to the Parish Council. Reacting to the mandate on the Residents’ Survey, the PC resolved to raise the Sutton Cheney Parish precept from £47.49 (2018-19) to £62.54 for a Band D property. This will appear on your council tax demand as a 31.7% increase in your parish precept, which translates to an increase of £1.51p on each of the 10 instalments. This figure still lies below the national average which for a Band “D” property is £64.05 (2018/19 figures). Sutton Cheney Parish Council is also applying for external funding offered through Hinckley and Bosworth Borough Council and we are optimistic of obtaining the money. If successful, we will hopefully be awarded the full 50% of all capital costs. Both the streetlight upgrades and the purchase of the vehicle speed signs are eligible for this money and two applications have now been submitted, totalling a requested amount of £10,728. Should we be unsuccessful in our bid for PIF funding, or not obtain the full amount, the PC is committed to implement both of the schemes preferably without further increases in the Precept and maybe over a longer period of time. Let us hope this will not be necessary. 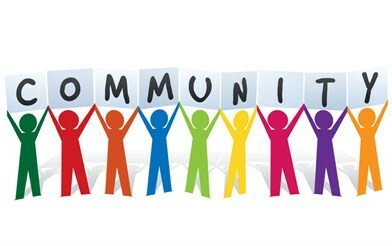 It is hoped that the implementation of the above 2 schemes will impact to enhance the community space we live in and so fulfil to some degree the wishes of the community. The outcome of the applications will not be announced until June 2019. We will keep you informed as soon as we know. Thank you for taking the time to read this information and hope you find it helpful. Should you have any queries, please contact either the Clerk or any of your Parish Councillors. After the success last year there will be another Dadlington Litter Pick on Saturday 23rd March 2019. 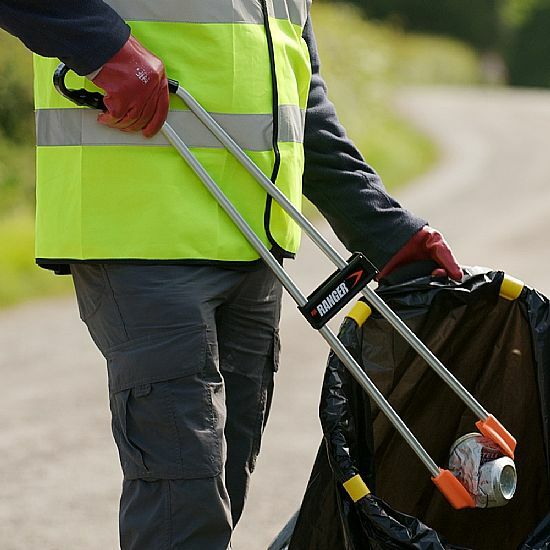 Last year, Fiona and her team of helpers collected lots of litter from along the roads leading into Dadlington village and it is hoped that the event will be well supported again this year. The group will be meeting at Dadlington Village Hall at 9.30am for a cup of tea and a bacon sandwich before getting stuck into the clean up. Please let Fiona know on 01455 212252 if you are likely to take part so she can have some ideas of numbers. However, there will be extra equipment for those who just turn up on the day. Hinckley Road, Main Street, Station Road and Upton Lane, Stoke Golding. The TTRO will incorporate a temporary road closure, temporary parking restrictions and a temporary speed limit. The duration of the restrictions is not anticipated to exceed a period of 24 weeks commencing on the 22/4/2019. 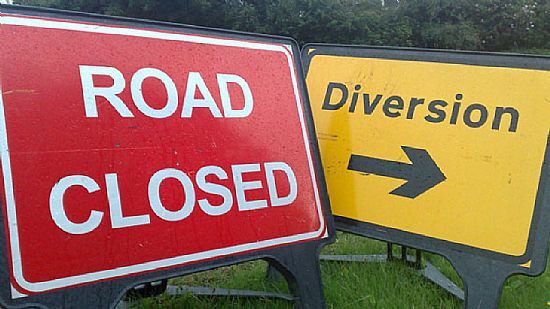 As the work progresses through Stoke Golding, whenever it is safe to do so temporary traffic signals will be utilised rather than road closures. Severn Trent Water (AMEY) will be holding a meeting for local interested parties before the work starts to provide more information. Further details to be confirmed. The Parish Council meeting scheduled for Wednesday 13th February has been cancelled. The next full Parish Council meeting will be on Wednesday 13th March.